Nathaniel Jouett hears victim impact statements in court during his sentencing hearing. 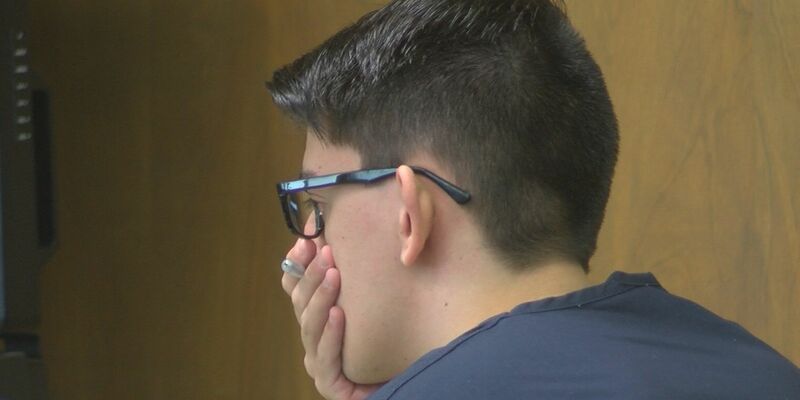 CLOVIS, NM (KFDA) - The sentencing hearing for Nathaniel Jouett, the teen who pleaded guilty to the mass shooting at the Clovis-Carver Public Library in 2017, continued today. In August of 2017, Jouett entered the Clovis-Carver Public Library and opened fire, killing two and wounding four others. The victims, 61-year-old Wanda Walters and 48-year-old Kristina “Krissie” Carter, both worked at the library. a, Howard Jones and Jessica Thron all recovered from their wounds. Defense Attorney Stephen Taylor began today’s hearing by stating he wasn’t here to make excuses for Jouett, and that everyone deserves the truth. He also said that he believes Jouett has the potential to be a productive member of society. Taylor proceeded to call Jouett’s former teacher Kari Ellis to the stand. She gave an emotional testimony saying he was a sad kid, that he struggled in school and that she takes responsibility for not getting him help sooner. The courtroom heard from Jouett’s therapist, who spoke on his mental health. He said he believes there are gaps in that day that Jouett doesn’t remember and that there are pieces of the puzzle missing for him. A psychologist also spoke today, saying the trauma Jouett experienced as a child, such as neglect from his mother and abuse from a teacher, negatively impacted his adolescence. However, the state argues a CPS report shows Jouett felt safe in his mother’s home. This afternoon, the court was presented a video where Jouett appeared to be speaking to a church in which he discussed the issues of his past. His family also compiled a video for the court, expressing how brokenhearted they were for what happened. Taylor told NewsChannel 10 that both sides will give their summations on Wednesday, Feb. 13.